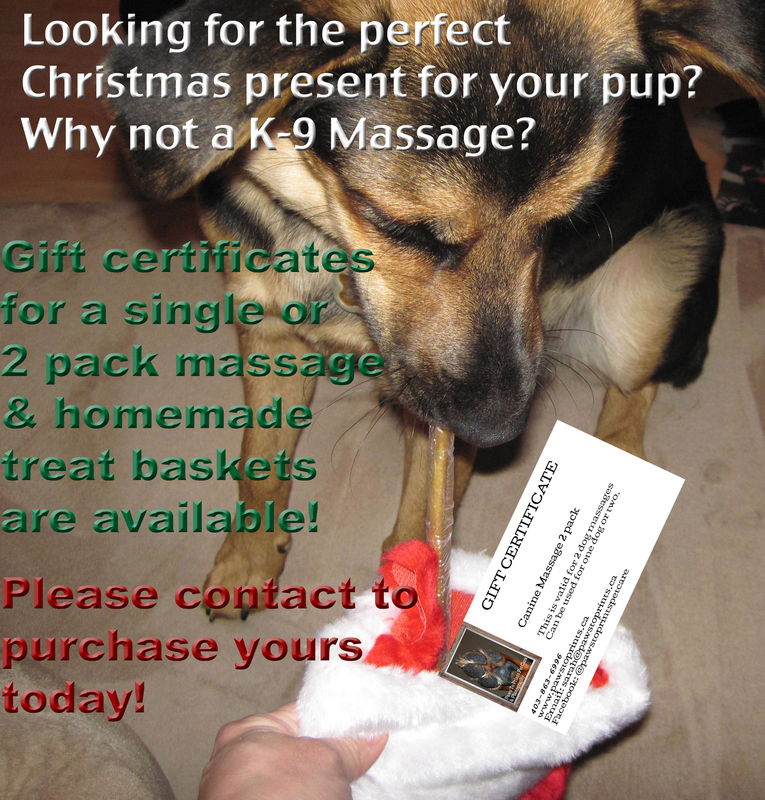 Looking for the perfect gift for your dog or a dog you know? Why not a K-9 Massage? Gift bags for Christmas are on sale now! 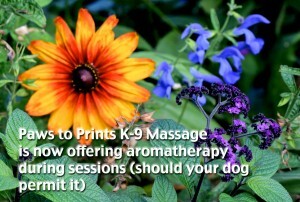 $40 g/c for 1 massage with aromatherapy and homemade dog cookies ( Your choice of peanut butter/carob or apple/oat) or you can go for the 2 massages with aromatherapy plus homemade cookies for $80 ~for those with more than one dog or just want savings! Contact me for purchasing options. 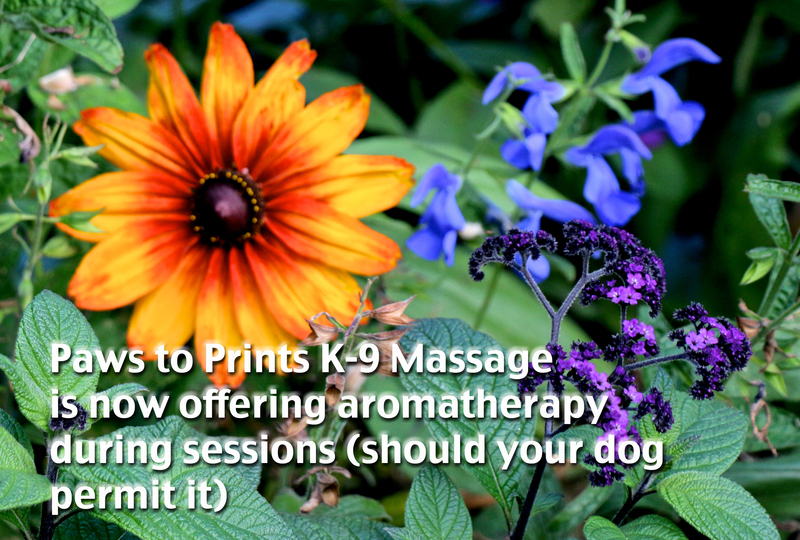 We all know how wonderful aromatherapy can be for humans and I am pleased to announce that I am able to apply it to the dogs!